In this week's edition of The Bleacher Briefings podcast, we preview Super Bowl XLVII between the 49ers and Ravens, discuss Joe Flacco's status as an elite quarterback, Alex Smith's best bet for next season, and the fate of the Celtics now that Rajon Rondo is done for the year! - Super Bowl Preview: We know how both teams got to this point, but what must they do in order to hoist the Lombardi Trophy Sunday night? 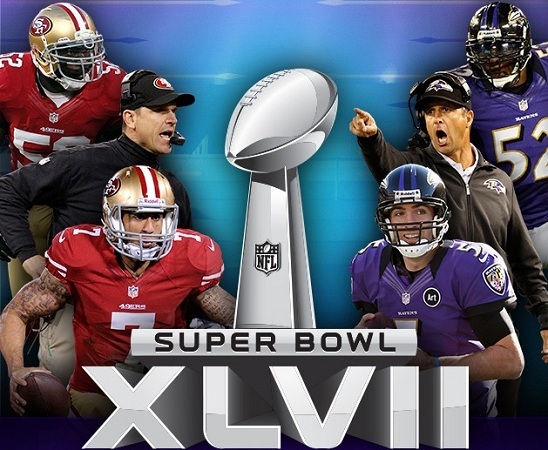 We break down the keys to the game, tell you who has the advantage at each position, and give our predictions for how Super Bowl XLVII will play out. - Flacco's Elite Status: With a win on Sunday, does Joe Flacco officially graduate to elite quarterback status, or is he already there? We put this much debated question to rest once and for all. - Best Fit For Smith: It has been reported that quarterback Alex Smith will ask the 49ers to release him following the Super Bowl. What are some possible landing spots for Smith, and what would be the best fit for his particular skill set? Also, will San Francisco just drop him, or are they going to want to use him for trade bait later down the line? Hear our take. We give our picks for the greatest Super Bowl ever, and discuss the future of the Celtics now that Rajon Rondo is done for the season!